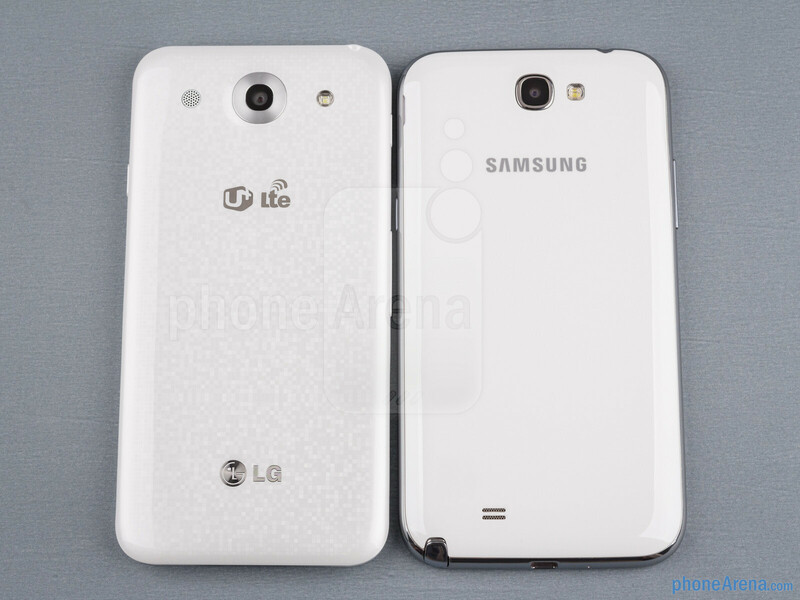 It is evident from the design and screen size that the LG Optimus G Pro is shooting for Samsung Galaxy Note II's market niche, so a heavyweight fight between the two is warranted from the get-go. The G Pro so far has been announced in two versions – the 5.5” one for Korea we use for the comparison, and a 5” one for Japan's DoCoMo spring lineup. LG also said it will be arriving to North America in Q2, but didn't specify which exactly screen size will make it. 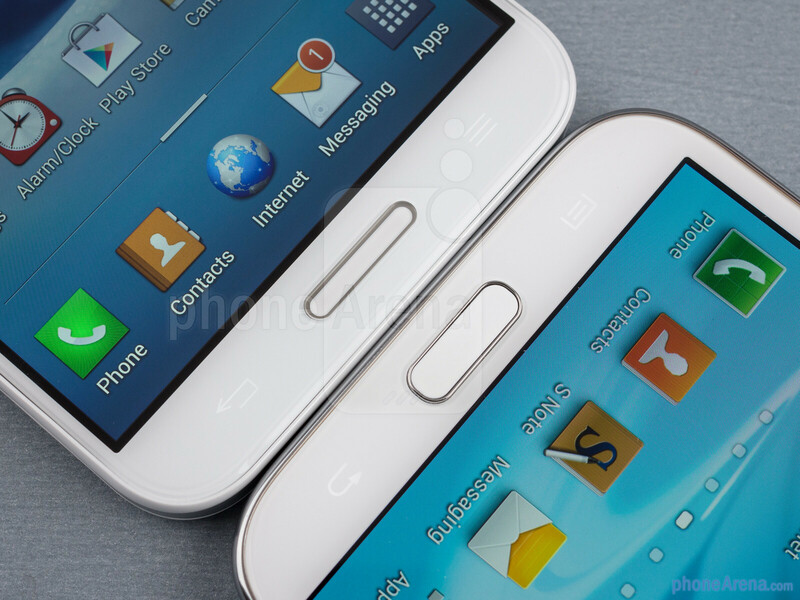 Both phones sport 5.5” displays, but the Optimus G Pro is lighter and more compact than Samsung's wide Note II, thanks to the minimum side bezel. 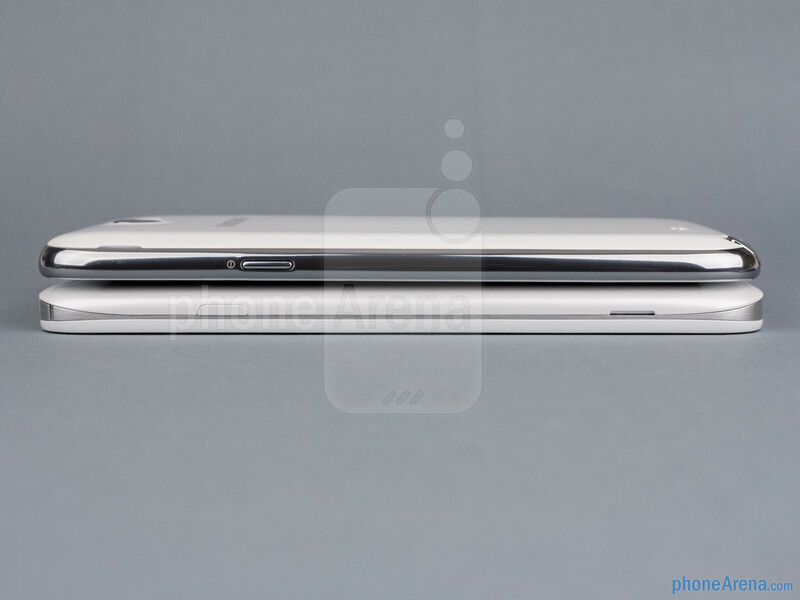 LG has gone with a more narrow, elongated chassis, which is easier for one-handed navigation. If it wasn't for the back Android key that LG slapped on the left, and you almost drop the G Pro each time it has to be used with one hand, that is. Other than the width, the two phones look almost identical, save for the much narrower home key underneath the G Pro display. They both have faux metal side rims, tactile volume rockers on the left and power/lock keys on the right, and both sport plastic removable back covers, which let you swap the battery, or add extra storage. LG blinged the back a bit more with a pattern on the plastic cover, and a large metal ring around the camera lens, and that's that. 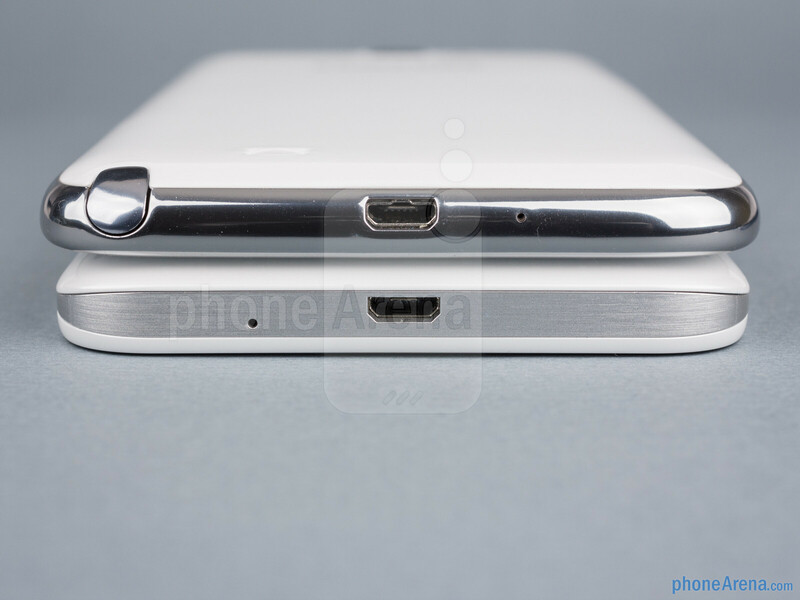 The Note II might sport a stylus tucked in a silo at the lower right, but the Optimus G Pro also introduces two differentiating pieces – a physical QButton on the left, which lets you launch any app on the phone you've mapped to it, and an infrared sensor at the top to control your TV, AC, home stereo and the like. Which features are more important here depends on personal preferences, as you might have waited for a long time to bring it back to that annoying bartender that switches the channel in the middle of the football game. The two 5.5” screens aren't created equal, as the G Pro sports 401ppi density on account of the 1080x1920 pixels of Full HD resolution, whereas the Note II has 720x1280 display with 265ppi. The Full HD resolution in the G Pro looks marginally nicer if you are a screen purist. However, thanks to the large screen size, the Note II also displays fine text (e.g. in the internet browser) well. The screen technologies are very different, so the IPS-LCD of the G Pro features much more natural, toned down colors than the oversaturated ones reproduced by the Note II, and which ones you like is a matter of taste. The G Pro has a very good contrast rating, which is still no substitute for the deep blacks of the Super AMOLED display, while both technologies sport very good viewing angles. The Optimus G Pro has a sufficiently bright display for decent outdoor visibility, but the Note II carries the brightest AMOLED Samsung has produced to date, so when we add the low reflectance, things are about equal in the sunlight visibility department. 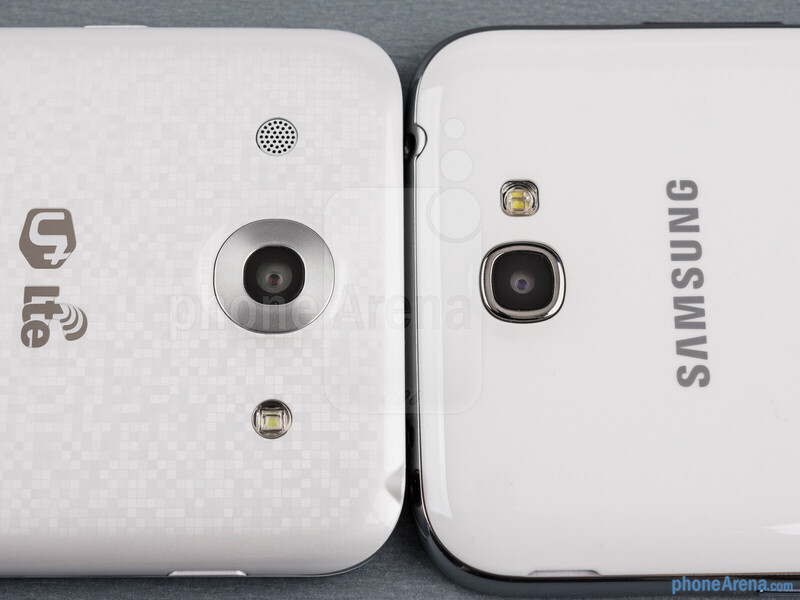 It looks too much like the Note II. correct cus copier always miss itselsf.. LG=front(s3)+back(one x) with no innovation.. lg failed 4 me 2. Brothers from the same mother and father, but they changed their last name. 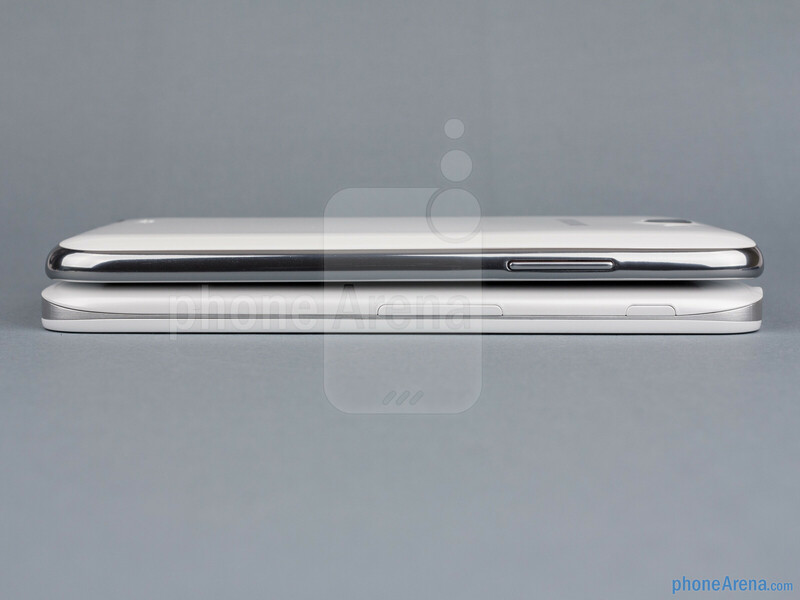 Seriously, I know people who are twins that look more dissimilar than these two phones do to each other. The best headline would be "G Pro and Note II: The Clone Wars"
No sylus, no phablet. It's not the size but functionality what makes the category. I would consider buying the 5" variant though, but that'll soon get the SIV as competition. You're right. Processing power goes to the GPro but it's not enough to compete with the over-all phablet experience provided by Samsung with its GNOTE II. The GPro is just a normal smartphone with a big screen, one of the best smartphone atm though! Although the G Pro did basically take the design from the Note 2 I want to say that they did make some nice personal touches on top of it. Also, I think LG made a smart move with the Q-Button. I wish more phones (and not just LG) had something like a personalized button with any mapped function you want. And not just 1 button too -- when you want 1-handed operation on bigger phones like this, customizable buttons can really cut down on the finger acrobatics. 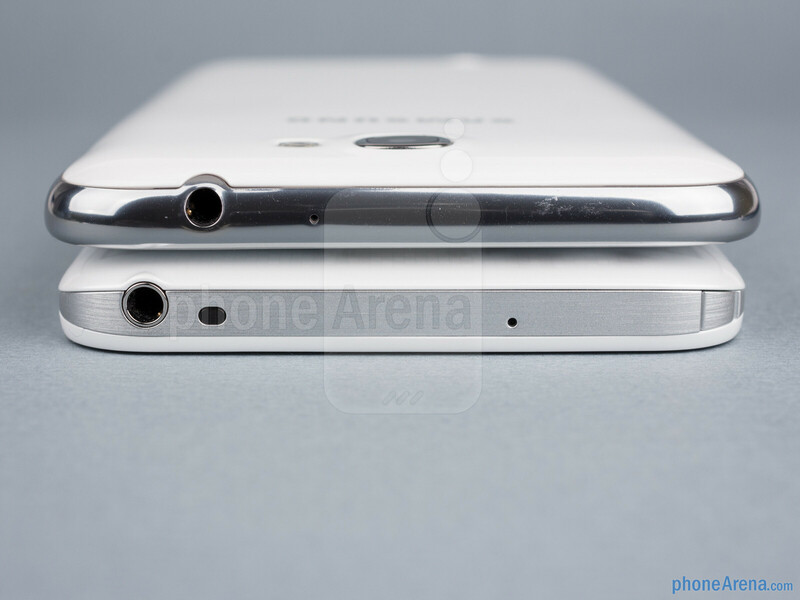 So according to this head to head, Galaxy Note II has the victory. The only thing that LG Optimus G Pro wins is in screen resolution and the IR blaster. The pictures and videos on Galaxy Note II were amazing! I can't say the same about LG Optimus G Pro. Nice try LG, but you need to speed up. Processor power goes to LG, but both are really good for normal applications. According to any head to head involving a Samsung phone in this site...G PRO is the better phone in specs. 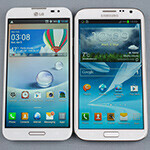 Its funny that in the screen comparo they tried everything to the Note II comes the winner. Samsung will sue LG. Just watch... LG is losing the Android race and must make themselves relevant. Why not imitate the real thing...LOL!!! nah.. apple patented the art of filing law suits on companies they are scared while creating a device that looks exactly their previous product.. I will still prefer the Note II. But the high resolution of Pro is nice. 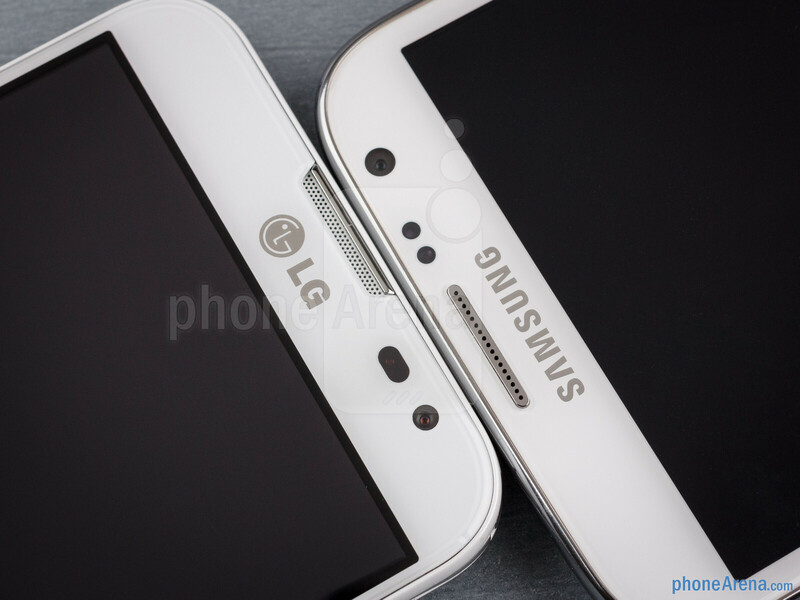 if lg wanted the pro to be rival to the note it could launch it with a stylus support ! Why, oh why can't other Android OEMs figure out that many people actually like using their phones in landscape mode more than portrait? If the rest of you OEMs are listening...ADD A LANDSCAPE MODE!!! It's simple, but very appealing to some of us. Oh my, they look like brothers right next to each other. 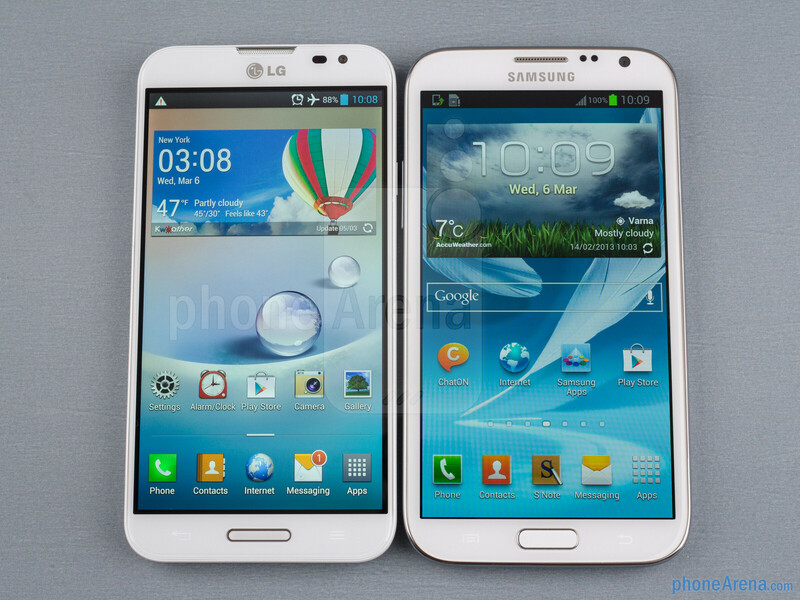 LG looks like the fusion of the One X and Note. What blatant copying company. Can't believe no-one notice the black border on the LG screen, it so ugly, not really using the whole screen like the Note. it exist since the optimus 4x.. what a waste of screen space..